Make this two-player Connect Four game using an Arduino R3 and a 7219 8×8 LED matrix. 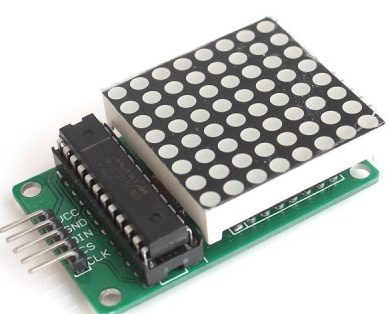 In this project, we'll learn how to a two-player game of Connect Four using an Arduino R3 and a 7219 8x8 LED matrix. 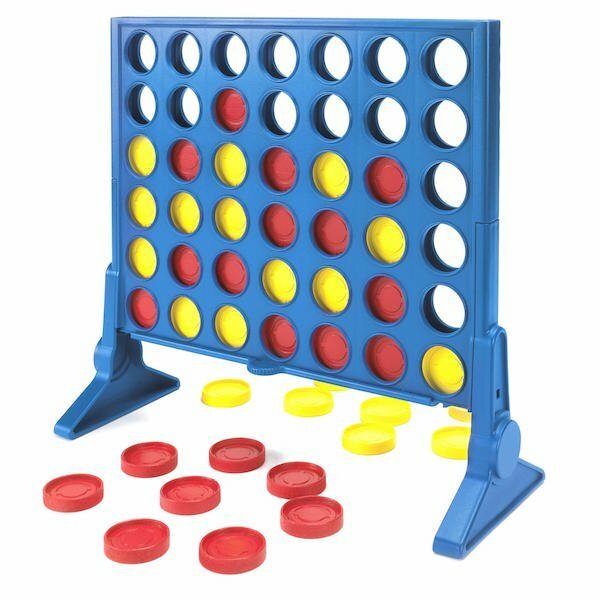 Connect Four is a two-player connection game where the players first choose a color and then take turns dropping colored discs from the top into a seven-column, six-row, vertically-suspended grid. The pieces fall straight down, occupying the next available space within the column. The objective of the game is to be the first to form a horizontal, vertical, or diagonal line of four with one's own discs. 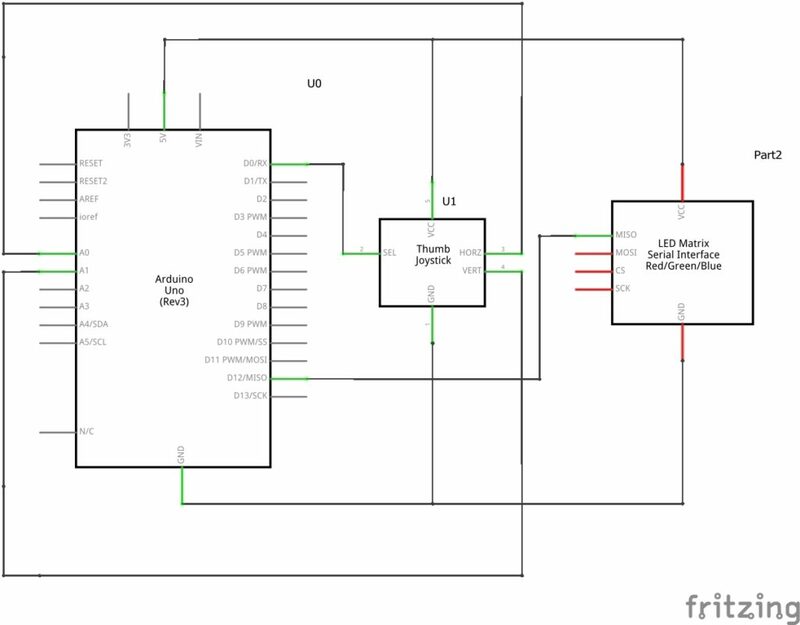 In the Arduino game, I have implemented, the player has the ability to move to any legal space in the matrix. 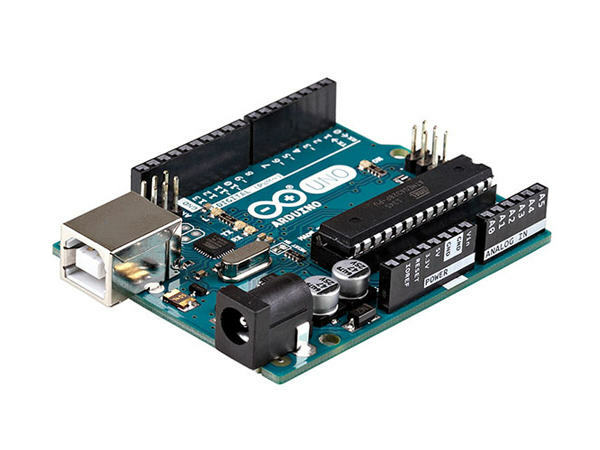 How Does the Arduino Connect Four Game Work? Each player has a colored dot. 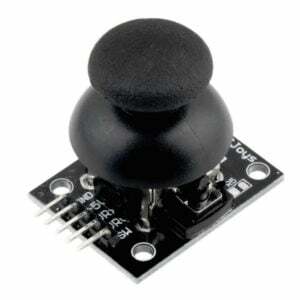 Depending on the movement of the joystick, the values of the axis movements (X or Y) are compared and the direction of the dot on the matrix is determined. The player can move the dot up and down or left and right. Once a decision is made, the player presses down on the joystick. When it is pressed, the game switches to the next player and opponent's dot starts blinking. At each stage, the program determines if the movement of the dot is legal or not. For example, a dot cannot be moved outside the matrix or occupy the opponent's space. It also determines when the game has been won. The game is won when any player puts four dots in a line. This line can be vertical, horizontal or diagonal. The VCC and GND inputs on the LED Matrix will be connected to the breadboard. The setup simply starts the Arduino with player 1 (red) and player 2 (green). Set AnalogPinX to 3, AnalogPinY to 5, and DigitalPin to 2. The LED matrix is cleared out and the initial player is set to player 1. The movement of the dots is checked on two things. First, whether the place is not already occupied (and is compared against the existing matrix). Second, whether the dot is in the matrix. If both conditions are true, then the current dot will be updated and the current location of the player will be updated as well. When a player connects four dots in a row (horizontal, vertical, or diagonal) the game is declared as over and that player wins. I'm currently working on code to make a single player version with an automated opponent. You can find the full Connect Four Code on my Github.